Deli’s Kitchen is parked in Sunshine Plaza on Bencoolen Street, a short walk from the Bencoolen and Bras Basah MRT stations. The restaurant is a one-stop spot for grilled Japanese delicacies and serves gourmet food from renowned restaurants in Japan. Sample Wagyu hamburg steak set from Fukuyoshi, ox tongue steak don from Senri, roast beef don from Jinbocho Beef, Hakata style black curry from Bistro Ryu, grilled lamb don from Shibaura Genghis Khan, and many more. 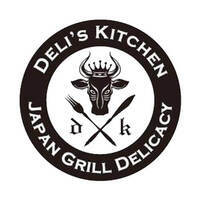 Patrons can save a trip to Japan and visit Deli’s Kitchen instead.